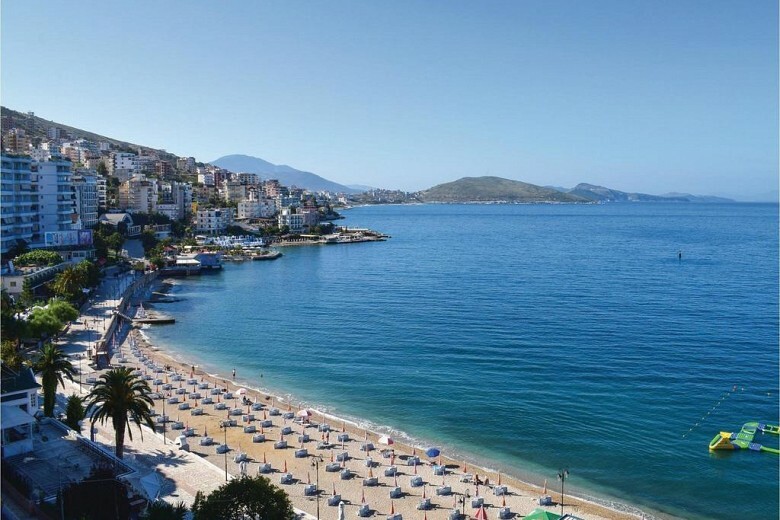 With over 300 sunny days a year, Saranda is the sea gateway to the southern Albania and one of the most popular resorts of the Albanian Riviera to enjoy your honeymoon, a family holiday or a getaway with your friends. 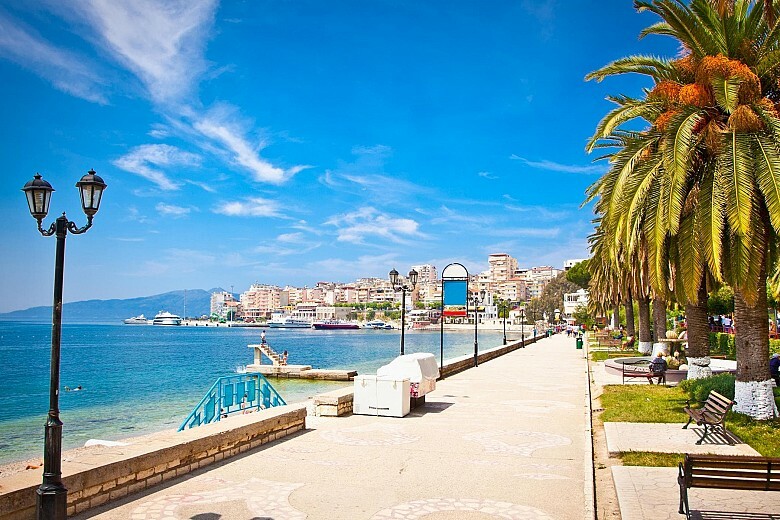 Although the main beach area is located to the south of the city with a variety of hotels and restaurants which offer catering facilities and accommodation, Saranda attracts the tourists for an evening promenade in the central city boulevard by sea. 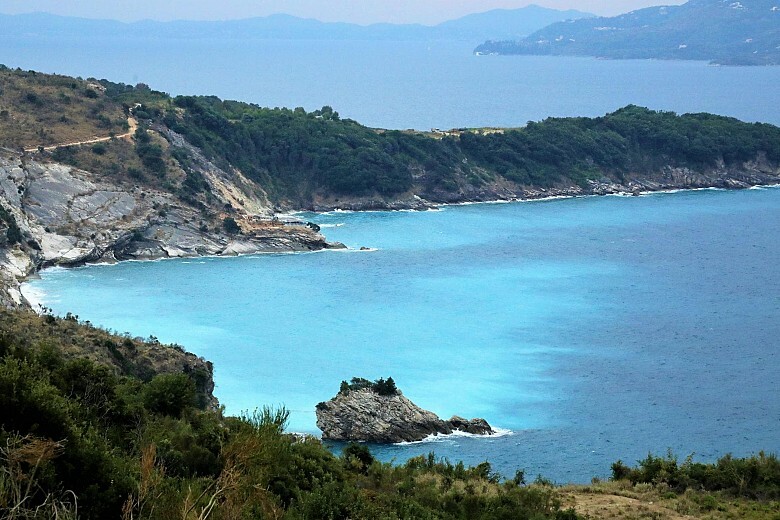 The most breathtaking views of Saranda and the surrounding area can be caught from Lekursi Castle located on the top of the nearby hill and overlooking both the inland mountains and the Ionian sea with the beautiful island of Corfu that can be reached by regular ferry lines departing from the port of Saranda. 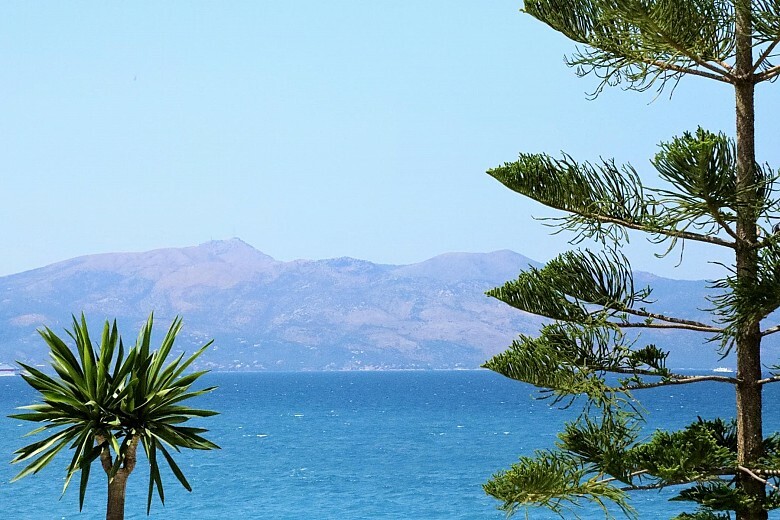 Saranda is a unique Mediterranean beauty, which the generosity of nature and the human touch have shaped, in perfect harmony. Except the splendid Riviera with the fascinating rocky beaches and clear blue sea, Saranda is blessed for natural and cultural sights such as the archaeological park and the ruins of the ancient city of Butrint which is a UNESCO World Heritage site representing in all its phases of development, the rise and fall of the great empires that dominated the region. Tourists travel from miles around for a glimpse of the natural beauty of the hypnotic Blue Eye spring that is a few km away from Saranda. It’s a unique water spring which true depth has not yet to be revealed as no one succeeded to reach the bottom. 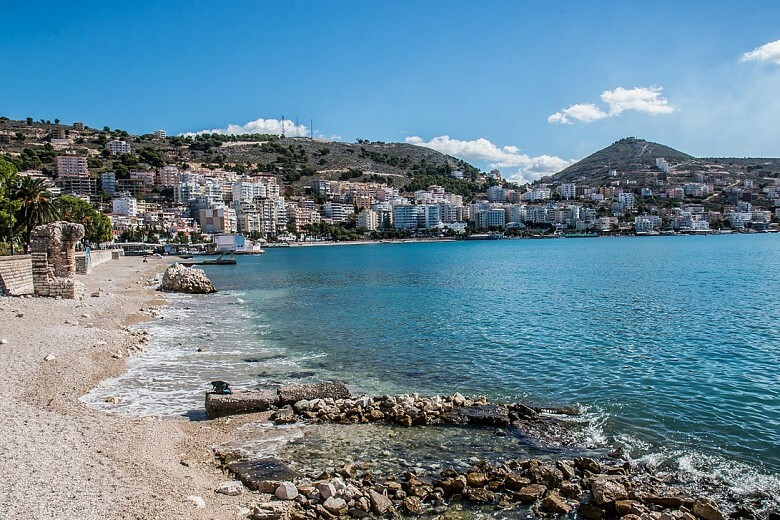 Among the historical landmarks of the suburbs of Saranda are: the 40 Saints Monastery built on a hill above the city; the ancient Illirian town of Finiq; St Nicolas Monastery in Mesopotam area and others. 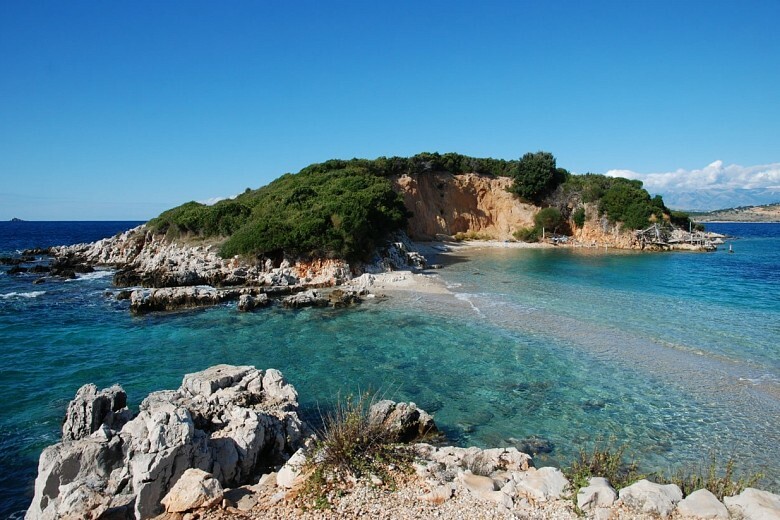 vOne of the best beach destinations of the Albanian Riviera is Ksamil village located between Saranda and Butrint. The lovely sandy beaches and the small green islands of Ksamil, the water activities and the abundance of seafood restaurants on spot – that’s what attract the travellers from all over Europe.